The science and technology of polymers is beautiful and relevant. I get energy from sharing my polymer experience with motivated students, especially when we can apply it to advance the circular economy. 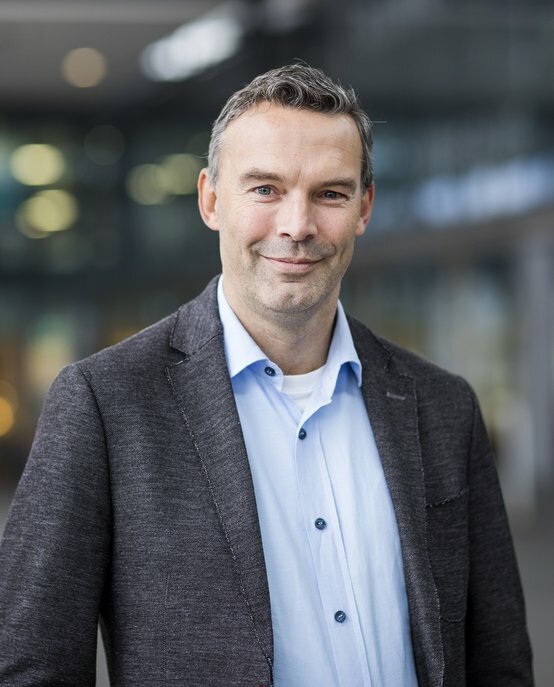 As part-time professor in Physical Chemistry of Polymers Jaap den Doelder shares his industrial knowledge about structure, rheology and modeling of polymer materials. In his academic research he approaches the circular economy from a materials and technology point of view, in particular regarding bulk polymers PE and PP. The central theme in his work is to start with the molecular aspect and couple this to macroscopic dynamics and properties. He often follows a mathematical approach, from statistical distributions of molar mass, calculated using a kinetic model, via constitutive models connecting force and deformation, to data-driven analyses of properties as a function of structure and processing. On the physical and mechanical technology side this touches with end-use properties, determined by the combined polymer topology and processing conditions. On the chemical technology side there is a touch point with the various ways to modify polymer structure, degree of polymerization, and topology through selection of catalyst, process, and monomers. By thus analyzing the complete value chain from resources all the way to end products and recycling opportunities, Den Doelder aims for upcycling of polymers rather than downcycling. So that materials are made and used in a responsible manner, economically, environmentally and socially. Jaap den Doelder received his Master's degree in Applied Physics from Eindhoven University of Technology (TU/e) in 1994. He continued with a post-master PDEng education in Mathematics for Industry at the same university, which he completed in 1996. In 1999 he obtained a PhD in Applied Mathematics for his research on flow instabilities of polymers. This work was performed both at TU/e and Dow Chemical in Terneuzen. Since 1999 he has been working at Dow's R&D department in Terneuzen. After eight years at the Materials Science group of Core R&D he now works in Performance Plastics PE Product R&D. Den Doelder also worked for short periods at the Midland (Michigan) and Freeport (Texas) Dow locations. In 2011 he became an adjunct visiting professor at the PPD post master program at the TU/e. In 2016 this was extended to a part-time professorship with the Laboratory of Physical Chemistry. Sr. Research Scientist (hoofdbaan), Dow Benelux B.V.